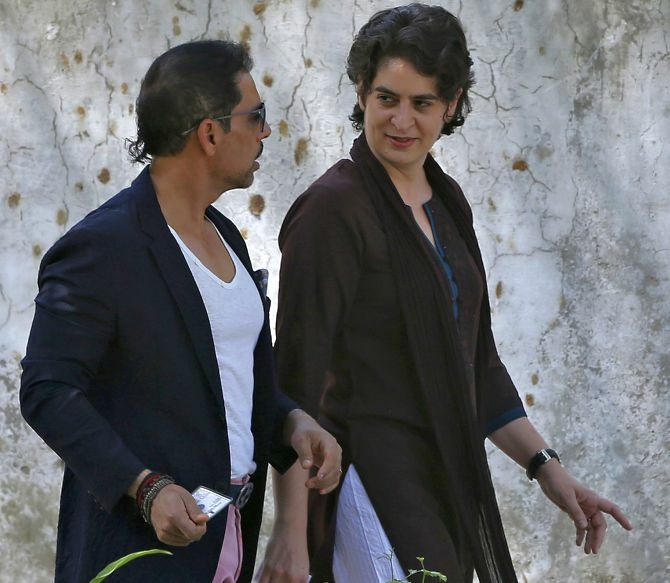 On a day when Priyanka Gandhi Vadra was making her debut visit to Uttar Pradesh as Congress general secretary, her husband Robert Vadra on Monday said she was a “perfect wife” and “the best mother” to their children and now the time had come to hand her to the people of India. “There is a very vindictive and vicious political atmosphere... But I know, it’s her duty to serve the people and now we hand her to the people of India. Please keep her safe,” said Vadra, the brother-in-law of the Congress president. “Congratulations P... always by your side in every phase of your life. Give it your best,” Vadra said in a Facebook post.